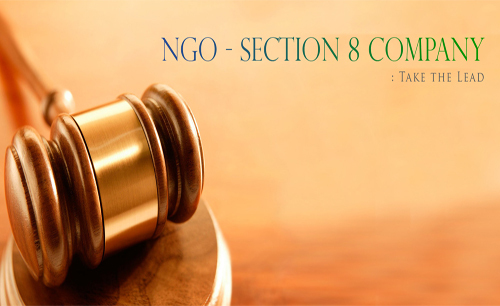 A person or an association of persons having a Plan of starting a Non-profit organization with the following objects can form a Section 8 Company. It intends to prohibit the payment of any dividend to its members, the Central Government may issue the license in such a manner as may be prescribed, and on such conditions as it deems fit, allow that person or association of persons to be registered as a limited company under this section without adding the word "Limited" in its name, or as the case may be, the words "Private Limited", and thereupon the Registrar shall, on application, in the prescribed form, register such person or association of persons as a company under this section. The company registered under this section shall enjoy all the privileges and be subject to all the obligations of limited companies. A firm may be a member of the company registered under this section. A company registered under this section shall not alter the provisions of its memorandum or articles without the prior approval of the Central Government. 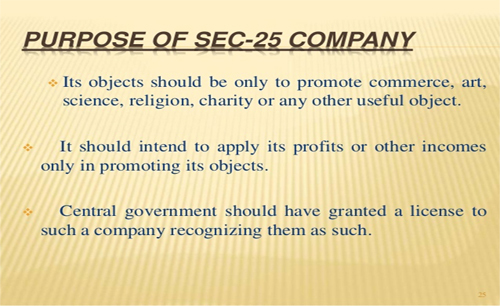 A company registered under this section may convert itself into a company of any other kind only after complying with such conditions as may be prescribed.